Eastern Upper Michigan Contractor for Paradise, Whitefish Point, Pike Lake, Two Heart Area, Newberry, Eckerman, Trout Lake, Brimley and the surrounding areas. 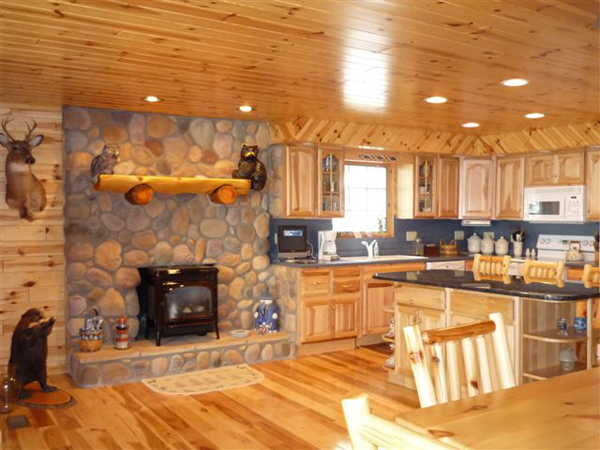 With 20 years of construction experience, Jim Bolz can help you reach your goals for a new home, cabin, vacation home, and more. Jim has also been a Licensed Builder for 17 years and a Licensed Septic Installer for Chippewa, Luce, Mackinac Counties. Located in Paradise, our company can easily serve clients through out the Eastern Upper Peninsula of Michigan! Jim can build the retirement home that you have always wanted or your dream home that you have always dreamed of building. He will guide you along the way with helpful tips and those tough decisions. Every job is treated as if it were his own. 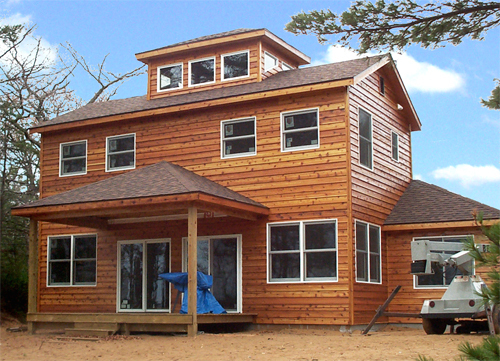 Whether you are looking to build a new home, a cabin, a commercial building, or you may want to take your older home & give it a "new look", consider Jim and his team for your needs. Have you been planning a business in the Eastern Upper Peninsula? Jim and his crew can help you achieve success with a new commercial building. 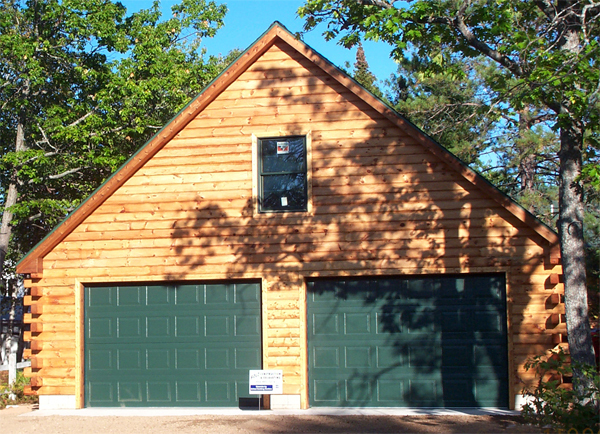 Build the garage to meet your needs. We can attach it to your home or standing alone, maybe with a loft? 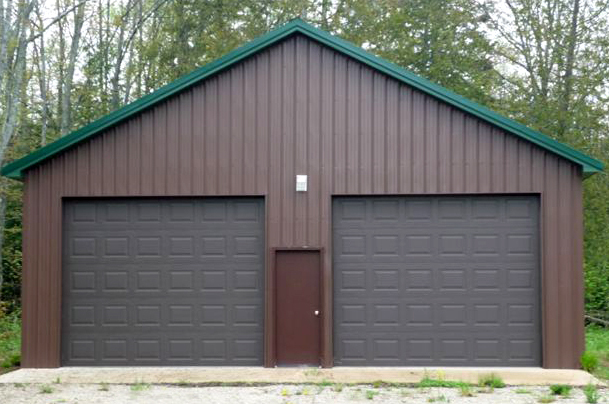 Big or small for all your storage needs, call upon Bolz Construction for your Pole Barn needs. 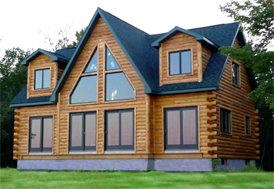 "My wife and I decided to build our dream retirement home in Paradise Michigan. We were a little apprehensive about hiring a builder that was 350 miles from our current home. Bolz Construction was recommended by several of the local townspeople who had known him and his family for years. We met with Jim to go over some of the preliminary plans and ideas that we had. Jim was also very helpful in recommending the type of construction needed for the weather we could expect on the shores of Lake Superior. He kept in touch on a regular basis and took progress photos to show us the activities. His wife Renee and my wife spent hours deciding on colors and finishes which my wife changed several times before the final materials had to be ordered. Her patience was outstanding. We made several trips to the site during construction and were always impressed with the cleanliness of the work area. The house progressed and was completed ahead of schedule. The quality of the construction was beyond our expectations from the footings to the interior finishes. Each detail of the house was constructed like he was building it for himself. We were never dissappointed during any phase of the project from excavation to final inspection. We got to know the crew pretty well by the end of the project and almost hated to see them pack up when they were finished. Jim is one of the most honest and sincere business persons that we have ever run across. There was no rushing or cutting corners in any phase of the project. Quality always came first. My wife and I are looking forward to many happy years of retirement knowing that our dream house was built with pride and unsurpassed quality."